Vitamin B12 shot benefits for individuals suffering from chronic fatigue are significant, say researchers, but most patients need the injections every week, long-term, and also require high doses of folate. Remember that there are many factors that can play into whether you experience significant B12 shots benefits or not. If you’re suffering from chronic fatigue syndrome (CFS) and have ever tried or considered trying vitamin B12 injections, you’re not alone. Many patients who suffer from relentless fatigue and the many other symptoms of CFS, such as pain and disrupted sleep, know about the potential vitamin B12 shot benefits. 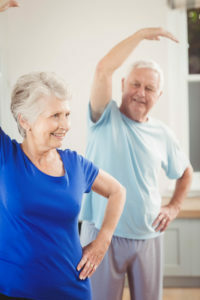 While some CFS patients have only a mild response to the injections, in others the response is dramatic and their symptoms are significantly ameliorated, allowing these select patients to get back to a productive life. Why would vitamin B12 shot benefits be so significant for some people with chronic fatigue, but not for others? What Makes B12 Shots Effective for CFS? So what is it that makes Vitamin B12 shots potentially effective for chronic fatigue syndrome? Recently, a group of researchers affiliated with the Institute of Neuroscience and Physiology at Sweden’s Gothenburg University published their results from a study attempting to answer to this question. The researchers drew from their 15 years of experience studying CFS patients and treating them with vitamin B12. During this time, they had already determined that CFS patients respond best to the injective form of B12 therapy. All but one (93 percent) of the good responders were treated with methylcobalamin, the biologically active form of vitamin B12. A significantly high proportion (43 percent) of mild responders were using hydroxocobalamin, a non-biologically active form. The methylcobalamin used by almost all of the good responders was more concentrated (5 mg/mL) than the hydroxocobalamin (1 mg/mL) used by many of the mild responders. Good responders had, on average, been treated with injections more frequently (every 3.8 ± 1.9 days) than mild responders (every 5.8 ± 1.7 days). The good responders also took a higher daily dose of oral folic acid (6.7 ± 6.6 mg per day) compared to the mild responders (1.9 ± 2 .0 mg per day). The good responders were more often taking thyroid hormones. None of the good responders were using prescription opioids or strong analgesics, while a majority of mild responders were using them on a daily basis. The exact optimal dose and frequency of methylcobalamin and folic acid is different for every individual and takes time and experimentation to determine, according to the researchers. Furthermore, CFS patients should be tested for co-existing thyroid dysfunction. When needed, thyroid treatment may contribute to the overall treatment effect when used in combination with B12 and folic acid. Are you suffering from CFS and have tried, or considered trying, vitamin B12 injections? Remember that there are many factors that can play into whether you experience significant B12 shot benefits or not. 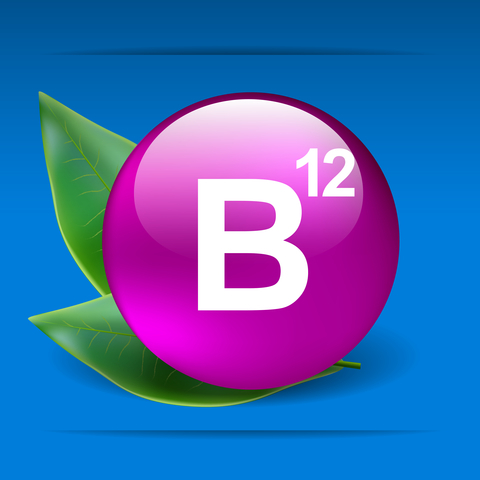 Try the methylcobalamin form of B12. Work with your physician to experiment to find the optimal dose of both B12 and folate for you as an individual. Try to stop taking analgesics. Talk to your doctor about getting thoroughly tested for a thyroid disorder. To help you and your physician find the best plan for you, take the full text of the published paper, free here, to your healthcare provider for a discussion. Don’t give up and keep advocating for yourself! If you have tried B12 injections, tell us whether they worked for you, using the Comments section below. *For readers interested in learning more about how vitamin B12 and folic acid likely work to treat CFS and why analgesics and other certain drugs might interfere with the effectiveness of these B vitamins, the full text of the paper, available for free by clicking here, provides an interesting perspective and discussion. Source: \PLoS One. 2015; 10(4): e0124648. b vitamins, b12, cfs, chronic fatigue, chronic fatigue syndrome, chronic fatigue syndrome cfs, fatigue syndrome, fibromyalgia, folate, muscle, muscle pain, opioid analgesics, pain, sleep, supplements, symptoms of cfs, thyroid, vitamin, vitamin b12, vitamins. I have been taking B-12 shots for years…just because I eat no meat. This is very interesting. I am going to ask my husband to start taking them also for his CFS. THANK U! I started taking B12 injections for chronic fatigue and I was a dramatic responder. Almost felt normal. They lasted 8 days and I would barely be able to drag myself up to the doctor to get another shot. However my shots now last 9 weeks before I collapse. I had my amalgam fillings replaced and then went on the Andy Cutler protocol to remove mercury from my brain and body. It taken years, and if I take a couple of months off the protocol, I get no improvement. But if I, say, keep to the protocol for 3 months, then the B12 injections last another week. Why can’t B12 pills do the same as the injections? It would save the trip to the doctors. Yet another skewed study. It doesn’t even mention if the people participating in it were tested for b12 deficiency for goodness sakes. Had they tested them before hand, injections of b12 in deficiency are recommended to start at 1000mcg daily for one week, THEN once weekly, then to three monthly. For them suffering with pain, had they been checked, the weeks worth of high dose may have had far better results. Also, all in the study could have been tested on the BEST optimal sublingual b12 at at least 5mg daily if methycobalamine to make sure they had a higher chance of absorption via that route. As it is, no mention in that study of the type e perimeter with via oral route, thereby leaving most reading the study to determine that the oral route is completely useless. It’s about time people running these studies used their brains more and treated patients with respect. Determining a b12 deficiency firstly would havev banked them to boost what might have been extremely low levels, not just a weekly shot. That had to be like peeing against the wind! Neo b/12 was the first treatment to do anything to help my CFS/ME. I inject myself. I then went to the other type of b/12 sub cut. Not intramuscular. I found it expensive. I am in relapse after many weeks of post dental work. And need to get the b/12 from Queensland to Victoria Australia $20 postage. The neo b/12 is much cheaper. Each vile is broken into smaller doses. I take from .2 alternate days to .5 daily or alternate days. I started using sublingual B12 spray over two years ago from Holland and Barrett in the uk, I have CFS/ME I thought it would help with my energy it did but I have severe cognitive and neurological issues now and I should have had my B12 tested first but I didn’t and now I am getting worse, my last B12 result was 1500 but using the spray and doc won’t give injections with B12 like that but he doesn’t believe about CFS/ME anyway. So I have come off the spray a few days ago so eventually can get a proper reading to see if it’s B12 or ME. I had gallbladder out in 2013 and I know that can effect things. I had shingles last year and came off the spray for 18 days and had B12 test done it was 751 but now above range he says. So don’t know what to do. I started on B12 shots very recently after having CFS for almost a year. After the first one I didn’t notice much of a difference but after the second one I honestly can’t believe it! I have some energy, I feel almost human. The change has been dramatic. I’m due to get one per week for the next 4 weeks and I’m excited to see how I feel after them. I feel really lucky I found a dr who suggested this because until then I was told there was nothing to be done or that CFS wasn’t a real disease. My CFS started 2011. I am unable yo use any oral medication and suplements. My vitamin D-level was measured very low in 2014 and once I started to get vitamin D injections, a dozen of really unpleasent CFS like symptoms vanished. In 2018 my B2, B6, B9, B12, homocysteine and methylmalonate were tested and according to these tests I have some problems in my methylation but not really too big problems. Because of this, I tried methylcobalamin injections, both intramuscular and subcutaneous. Both ways are almost as good but the effect of subcutaneous injection lasts longer. My dosage is 5 milligrams per 7 days. Methylcobalamine helped a lot. I didn’t get extra energy but almost all my cognitive problems vanished. Most of my problems with ability to concentrate or remember were gone. No more brain fog at all. Then, half a year later, I started to inject adenosylcobalamine 10 milligrams per two weeks. Now, because of that, I don’t have any problems with my concentration and memory and my deppression is gone. Still no extra energy. Although, if I stress my brains or muscless too much, I get some cognitive problems again but they are mild and go away in a day or so. I advise to have your genes tested. If you have gene mutations, they may explain some of your CFS like symptoms. For example gene mutations in genes COMT 472 and MTRR 66 affect methylation and homocysteine level, so methylcobalamin may help you.